It’s time for us to officially get excited for this year’s SXSW film festival. We’ll be heading down March 10th and will have writers in Austin for the duration of the festival. The first few nights of the festival always feature some great film premieres, and this year is no exception. The opening night feature will be Source Code, a trippy mind-bender featuring Jake Gyllenhal, Michelle Monaghan, and Vera Farmiga. This is the eagerly awaited follow-up to Duncan Jones’ Moon, a film that debuted at the festival in 2009 to high praise from audiences and critics alike. When decorated soldier Captain Colter Stevens wakes up in the body of an unknown man, he discovers he’s part of a mission to find the bomber of a Chicago commuter train. In an assignment unlike any he’s ever known, he learns he’s part of a government experiment called the “Source Code,” a program that enables him to cross over into another man’s identity in the last 8 minutes of his life. With a second, much larger target threatening to kill millions in downtown Chicago, Colter re-lives the incident over and over again, gathering clues each time, until he can solve the mystery of who is behind the bombs and prevent the next attack. 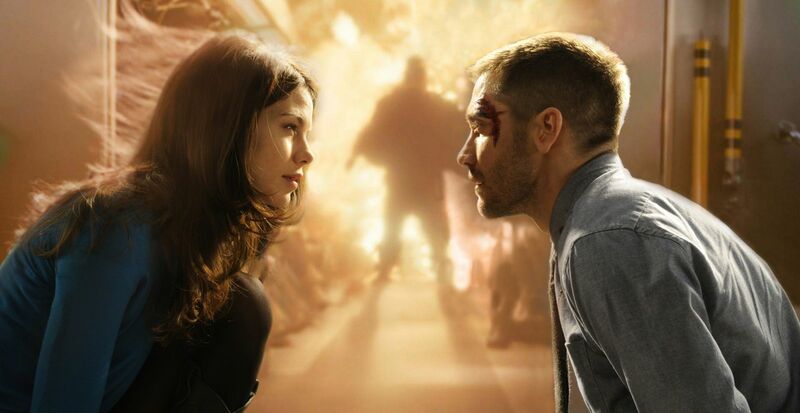 Source Code will have its world premiere on Friday, March 11 in Austin. It will open in theaters everywhere on April 1. Click through to check out the trailer.